Fading but still recognizable, the coneflower drowsing in late afternoon sunlight seemed oblivious to the laughter surrounding it. We laughed because the arrangement of the coneflower petals — so much like crossed fingers — reminded us both of my own finger-crossing habit. 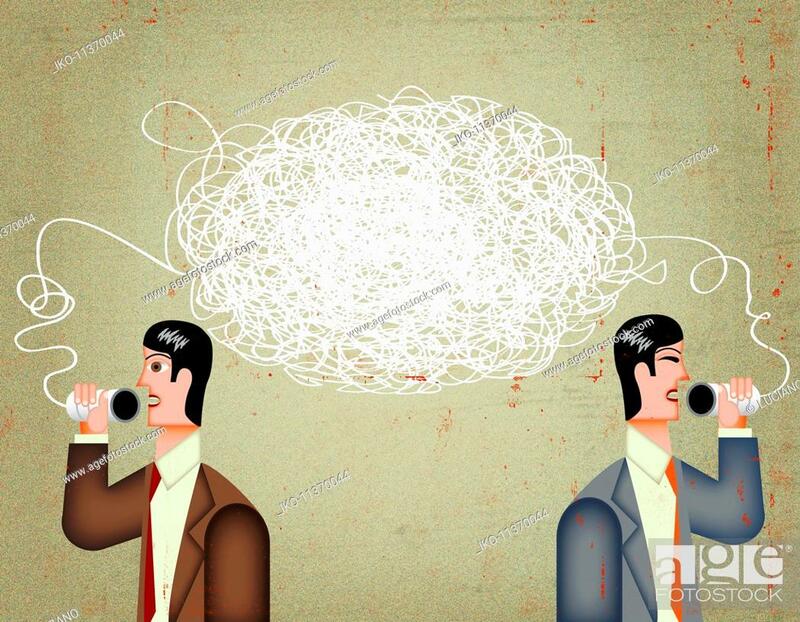 As a child, caught between my eagerness to take part in adult discussions and parental admonitions not to interrupt others, I often found it hard to plunge into the ebb and flow of conversation. By the time an opportunity presented itself, I’d forgotten what I’d meant to say. As a memory aid, I began crossing my fingers while waiting for a chance to speak. After others noticed the gesture and learned its purpose, my crossed fingers became a family joke. Over time, they became a family tradition: a recognizable sign that someone had something to say, and would like a chance to say it. Of course, crossed fingers have taken on multiple meanings over the centuries. The coneflower might have been as interested in concealment as conversation, or it might have been hoping for the luck of a lingering fall. Whatever its purpose, the ambiguity of its gesture fits nicely into an etheree. hand, who’s to say where truth and falsehood cross? For more information on the Etheree, a syllabic poem that, in its basic form, contains ten lines and a total of fifty-five syllables, please click here. Truth and falsehood do at times cross each other. If truth could only be unbendable. They say; a wise woman keeps an open mind! But here’s an idle thought: perhaps truth can bend at times. That may be why it endures, and doesn’t break. As for those open minds, let’s wish them for men as well as women! I see the crossing rays as an ampersand. I never saw an ampersand; that’s a good, different envisioning. Even though I can squint a little and see it now, it keeps getting overridden by a treble clef. That made me wonder where the treble clef symbol came from. I found a Smithsonian article that explains it. You must have benefitted from growing up in an extraordinarily perceptive family. As in any family, some were more perceptive than others. My father, my paternal grandmother, and one aunt were high on the perceptiveness scale. My mother, for reasons I understand far better today, wasn’t. But, yes: I did benefit from the family that surrounded me; there’s no question about that. My background some felt they could tell a lie and get by with it if they crossed fingers. I have also heard the act as wishing good luck to someone. Such as: “I’ll keep my fingers crossed while you go job hunting.” I like the way you embodied both in your etheree. And of course for double luck we crossed fingers and toes: at least, we crossed our toes as best we could. That never lasted long, and was mostly a metaphorical gesture. One of fourteen is whimsical. I like this story and I like the photo even more. Another nice find which gave you something to write about. I grew up with the old saying of crossing one’s fingers for luck. I still hear variations of the old saying about crossing fingers for luck fairly frequently, especially among people who can’t control their environment. Varnishers who hope it doesn’t rain until their varnish dries come to mind. As for the photo, it’s been hanging around in my files since June of 2016. About six months ago, I realized it needed to be turned into an etheree, and here we are. Did you ever tie a knot in a handkerchief as a memory aid? That’s a little more time-consuming than crossing fingers, I suppose, so maybe not as practical. I didn’t cross fingers as a memory aid but certainly did so to lure Lady Luck. And just to make extra sure of her attention, I crossed toes as well. I never carry a handkerchief any more, but I do similar things. Putting my sunglasses around the shift lever of the car as a reminder to get gas first thing in the morning comes to mind. And, yes, we resorted to crossing toes in particularly important situations, too. Ha! A very accurate addendum. What was even more amusing was seeing my mother in her latter years still using the same gesture. As the speed of her mental processes slowed down, she sometimes had trouble keeping up with the chatter of my friends and me. Every now and then, we’d glance over, see those crossed fingers, and know that we needed to slow down ourselves and invite her back into the conversation. Thank you so much, Derrick. It’s been simmering on the back burner, so to speak, and I finally decided to turn up the heat a bit and finish it off. Wish I had come up with that when I was a kid. It was a handy little device — especially during holidays, when there were a lot of people gathered around multiple tables and a lot of chatter. I still do it from time to time; it’s not too late for you to give it a try! Your poem is exquisite and so perfect. And of course, it couldn’t be better illustrated! I was a finger crosser too (mostly because I was fidgety) and I still try to be but arthritic hands aren’t like a kid’s, I’ve discovered! I love the word ‘fidgety,’ and all its forms. I heard “Stop fidgeting” every now and then, myself, and I’ve spoken of my great-aunt Ina, who liked to remind everyone that Tempus fidgets. Until you mentioned arthritis, I’d not thought about the fact that I’ve come to cross only the fingers on my left hand. I can cross the fingers of my right hand, but it takes more effort, because nearly thirty years of brushes, power tools, and sandpaper have enlarged a couple of knuckles and stiffened a few fingers. It’s probably not a bad idea to begin working with that hand a bit, to increase its flexibility. Flexibility is good! Nature reminds us of so many things, doesn’t it? I so enjoyed your story of what crossed fingers means to you and the poem – perfect! It’s worth pondering that I couldn’t have written this post without experiencing a good family, dinnertable conversation, and time in nature. So many today are missing one or more of those experiences. Sometimes it’s by choice and sometimes not, but they’re all important. That’s the truth — and I don’t have my fingers crossed. Fun! All those family signals that have a long ago story…. And every family has that special set of signs and signals that are invisible to outsiders, but still part of the glue that helps to hold things together. Stories do it, too — especially if they’re of the “Remember the year Uncle Bob threw the turkey leg at Grandma” sort. Stories can turn bad though…. stories damaged my family when my sister twisted them while she had cancer. I can’t heal the damage. It’s been seven years since she died and there were 5 years of lawsuits. I could see her building the stories and I couldn’t find a way to counter them. She had terrible cancer so everyone wanted to believe her….. I understand but I also know what cancer and metastases and drugs do to the brain. I’ve never been a finger crosser but I love your memory of how you became one. I also love how you were able to make us look at a dried up flower with a renewed interest and appreciation. I was thinking today how amusing it is that, while we all have boxes filled with old valentines, snapshots, report cards, and such, some of our earliest experiences stay with us in our bodies: our gestures, our way of walking, the way we tilt our heads. It’s a little harder to declutter ourselves. I enjoy drying flowers and seed heads as much as I do the blooms. Granted, the color has a lot going for it, but the structures that emerge when a plant’s in the process of fading are so interesting — and there’s never any predicting what they’re going to do. Only the wisest of us can see lessons in nature. I love your poem and the sage messages from a retiring cone flower. Thank you, Dor. I enjoy this poetic form, and the demands of the structure. When I began working with etherees, just counting syllables was enough of a challenge. Then, as time went on, I began to realize that rhythm and rhyme and figures of speech could be a part these poems. They seem nicely suited for subjects from nature, too — perhaps because they can look like a tree on the page. Hmmm. If a shy coneflower brings to mind a child waiting patiently to interject a comment, one wonders what a tangled grape vine brings to mind…. Cable news? That’s a reasonable analogy, although I don’t watch enough cable news for the tangled vine to bring it to my mind. On the other hand, I could see that vine as a nice, long string — a really long string — attached to two tin cans. See? Crossed fingers were for luck. and truth and perceptiveness are sometimes two sides of the same coin. the blind men and the elephant come to mind. all three truths were different and yet all three were the truth. The blind men and the elephant is such a great illustration of how difficult it can be to grasp the whole truth of anything. Of course, the reality is that even if the men hadn’t been blind, some of them might not have seen what was right in front of them. That happens, too. I suppose that’s why the expression about “the elephant in the room” became so common in business jargon for a while. On an entirely different level, you’ve reminded me of the our grade school elephant jokes. I’m sure you’ve heard them: “How does an elephant hide in a cherry tree?” “It paints its toenails red.” And so on! Seeing and learning lessons in nature is the baseline for human existence. How we doin’ ? Not so well. I think the most precious finds in life are those that are nearly invisible, easily passed over. I say: Small Lives Matter. And yes, that also applies to human beings in their small, quiet invisible lives. In 2015, I wrote a post called “Appreciating Smalls” that fits right in with what you say here. In a world increasingly given over to faster and bigger, slower and smaller certainly have their place. It’s not just that increasing age slows us down and constricts our world, either. Children just discovering the world delight in the “smalls” surrounding them, and they take the time to really look at what’s before them. Maybe those two were cuddling up in some chill? That’s a reasonable assumption, given the weather we’ve had. But this is one of ‘those’ photos that’s been lingering in my files, waiting for me to figure out what to do with it. It actually was taken in June. Maybe the coneflower was wiping the sweat off its rays! Whooshing the wet from its brow! Exactly! On another subject entirely, did I mention to you the mysterious bird that’s been singing it’s heart out every morning around here? I’ve never yet seen it, and it seemed strange to have a songbird around the marina, especially this time of year. Well, I kept listening, and kept trying to figure out how to describe its song in words so I could search for it. I found it! It’s a tufted titmouse. After weeks of listening to that thing, there’s not a doubt in my mind that’s what it is. Or was — I haven’t heard it for a week or so, now. I recall that you were perplexed. They are darling birds with lovely calls and songs. We have the Black crested in this area and the calls/songs are similar, though I noticed on the Cornell site, the Crested seems to have a greater variety of communications. The titmice (mouses–I just never know!) also hang out with the Carolina Chickadees–so if I see one of them the other is somewhere nearby. Also adorable birds with lovely songs and calls. Love the form. Yes, crossed fingers can mean a number of things. Hope, deceit, a mnemonic are just a few. Well done, Linda. The number of meanings attached to the gesture is interesting. I did learn that it should be used with caution — or not used at all — in certain other cultures, where it can have nasty or negative connotations. Live and learn. We all learn many things through mistakes. I can see a cross finger gesture being taken the wrong way for sure. And look what I found — the crossed fingers have a special meaning in your country, too. You can think of me when you cross your fingers, and if I ever come again to your country, I’ll know where to go to play the lotto. Your photo is great and the story behind the crossed petals is even better. Thanks for sharing this part of your life. I delighted in this photo from the beginning, but I knew I had to hang onto it until I could find a way to weave together the image and my experience in words. I’m glad you enjoyed the result. Wow! I am so impressed you wrote that poem. Pretty cool! These etherees can be a challenge. With this one, I had a nine syllable last line through about twenty iterations, until I finally got it right. It’s like any editing. Sometimes just reducing the word (or syllable) count isn’t enough. It takes real re-writing to get it to work. I still cross my fingers, I still try to be polite, and I still enjoying sharing my thoughts. I enjoy learning, too, and in the process of responding to comments here, I figured out at last why I only cross the fingers of my left hand. If I were to cross the fingers of my right hand, I couldn’t drink coffee while I was waiting. haha! yes! you have your priorities straight, and the caffeine helps with memory, too. I know someone who uses rubber bands on their wrist, to remember stuff, and during a busy week, I’ve wondered if he loses circulation in that hand, but it works for him. Plus, he always has rubber bands handy. Well, the poem was well worth the effort, it came out great. Condensing and clarifying. I’m so glad you enjoyed it. Thank you for visiting, and for letting me know. You’re always welcome here. It’s lovely how you created a new tradition, of sorts. My friend, who has 5 children could use this trick; children-speak in-turns. They do pretty well as is, though, because they have a mother who taught them early an awareness of their inner life, how their words and actions affect others. Think I’ll try this signal with my grandson! Being present at the birth of a tradition’s interesting. We never know it’s going to be a tradition in the beginning. It’s only with the passage of time that it becomes obvious what has happened. I was lucky not to be part of a “children should be seen and not heard” family, but a combination of adult expectations and my natural shyness made the finger-crossing a perfect way to gain entrée into the conversation. A few of my adult friends have begun using the little trick from time to time, so your grandson might enjoy it, too, especially if there are responsive adults in his life. Oh, I like that one! This etheree has a lovely flow to it, like a rivulet finding its way through a clutter of rocks. Brava! The picture struck me as a strange, bedraggled sort of multi-legged spider-like creature one might find in a Hayao Miyazaki movie, with a dark, fuzzy body, long white legs and two left feet. The word-wrapping at the end of lines helps that flow, and I was pleased with the way this one turned out. I’m surprised I didn’t see a spider in the image. It’s a reminder that the meanings we superimpose on the realities around us are a function of our experiences, beliefs, and interests. This single photo has suggested crossed fingers, your spider, an ampersand, a treble clef — and probably other things, as well. I wonder what I would have seen, had I not grown up with crossed fingers such a part of my life? There’s no way to know, but it’s fun to think about. How amazing that your family even noticed your crossed fingers! These days, some parents would be too busy multitasking with their nose and eyes in their phones to even notice the dear gesture of a child! It’s true about the effect those phones and such are having, isn’t it? Anyone who’s been at a restaurant recently has seen people dining together who never look at one another. Certain other social irritants are becoming increasingly common, too: like people at stoplights who can’t be bothered to move when the light turns green because they’re busy texting (or whatever). It makes paying attention — to others, and to the world — even more important. It’s the kind of resistance I enjoy participating in. I do think you have a good eye for the small details that most others wouldn’t notice. And I like your humorous approach to what you see. Crossed fingers do have a lot of different meanings, don’t they. The incongruities of the world usually are worth a smile, and the unexpected little details that present themselves? They truly are the lagniappe of life: freely offered, and too often not appreciated. I suppose it’s human to see what we expect to see, but being able to look at the world without expectations can yield marvelous benefits. Fun ponderings on crossed fingers, Linda, in the coneflower, symbolism in our culture, and what I especially enjoyed: your history with it. As a child, of course, it never occurred to me that my little gesture might be relatively common. Even as an adult, it was “my” way of remembering things. Now I realize that others do precisely the same thing, which somehow makes the practice even more delightful. I doubt that the coneflower was trying to remember anything, but just the sight of those crossed petals helped me to remember a good bit. I too cross my fingers, and have done for years, when there is something I want to remember to say when I can get an opportunity in the flow of conversation. Trouble is, into my eighth decade now, crossing my fingers doesn’t always work! I wondered if someone else who uses this trick would pop up, and here you are. Since crossed fingers developed in pagan or early Christian times (depending on which source you choose), they obviously came to your part of the world first. I suppose the practice arrived here with the early explorers — I can only imagine that some of those sailors would have more than enough reason to cross fingers! And, yes: our aging hands do get a little stiff from time to time. I still can cross my fingers on both hands, but if I try it with my right, I have to work at it a bit. I love dying and death in nature. Sometimes the plant (and even the bones of an animal) is more beautiful in its withering state. I love you photograph! The coneflower lived it’s days of glory in color and attractiveness to the insects it fed. Even in this drying stage the seed head becomes center stage as a magnificent sower of life for the next season of growth. Growing up in the Lutheran church (Missouri Synod) and attending parochial school, we were never allowed to cross fingers in church or in class. It was considered a pagan practice and if caught crossing fingers in school – even as a joke, there was punishment, like no recess for the whole class! At home my parents didn’t care if we crossed our fingers or not, but I always felt it was better not to go there at all. I think your reasons for crossing fingers is quite polite and causes us to observe and be aware of others. The color of this one suggests it might be a cultivar. The green and cream color scheme is lovely, but I’ve never seen one like it. Where I found it, it could have been either a native or an escapee from a garden, so it’s hard to tell. No matter: the decline is lovely — especially that center cone. That’s really interesting about the prohibition against finger-crossing. There are those who believe the practice developed in early Christian communities, and others who would push its origins back into pagan cultures. I didn’t know any of that until I went searching; this article at least gives a broad outline of the views. Your experience in parochial school sounds rather like stories I’ve heard from a Catholic friend. The issues were different, but the intent to enforce the rules was the same. I grew up as a Methodist, and I can’t remember ever hearing about Methodist parochial schools, but I see there are several in Houston, now. Changing with the times, I suppose. That’s an interesting article, but I had to laugh about crossing fingers for “luck and to protect from lying” which I suppose is how the Lutheran church may have decided it was pagan. In the area I grew up in there were small parochial Lutheran schools in most every town. Many have consolidated now, as have the public schools. The parochial school I went to through the 8th grade, is still operating and is the consolidated headquarters for five area towns. I always liked the smaller classroom aspect, and how we were taught to help each other with lessons. But, there were many more reasons I would not choose to send children to a parochial school based on my experience. You’re too kind, Dana — but I’m glad you like the etheree. I’ve been trying to decide whether to bring back the Cat Carols for one last go-around this Christmas: a kind of tribute to Dixie Rose. Maybe yes, maybe no. But I can’t write your Christmas poem. If I did, I wouldn’t have the pleasure of reading your poem! :-) You brought this photo to life in a very unexpected way!! This is beautiful. I confess the term ‘coneflower’ is new to me, although I’ve heard the black-eyed Susans are also known as ‘yellow coneflowers’. They have so much character. The common name ‘coneflower’ gets applied to a variety of plants. This is probably either a native Echinacea or a cultivar of one. Here in Texas, we have seven of theEchinacea species,, which is wonderful. I think I’ve only seen three growing in the prairies, though. The one I know is Rudbeckia, the black-eyed-susan, and I see it’s another genus. They are similarly cone-shaped too. Oh, my, perhaps I need to give this a try. I, too, tend to forget what I want to say when my “turn” finally arrives! Typically, I just write everything down if I have time, but often that’s not possible. Love the photo, too. Just goes to show everything has beauty if we’ll just take time to notice and appreciate it. Making notes works great in any sort of meeting, whether in a corporate boardroom or a doctor’s office, but at the dinner table, or with friends at a bar or coffeeshop, or in a car? It’s not always so easy. What really tickles me is that a trick I developed as a child continues to work for me decades later — not everything has such staying power. And I do love that flower. While there surely is an explanation for the forces that caused the petals to cross like that, I’m just as happy to think it’s waiting to tell us something. I like thinking of crossing fingers as a way to hold on to a thought. Similarly, the crossed petals struck me as one trying to keep the other one from falling loose. And now you’ve reminded me of one of my favorite Pink Martini songs: “Hang On, Little Tomato.” It’s such fun to think of one petal being protective toward another. Who’s to say it doesn’t happen? “Just hang on, hang on to the vine.” Priceless, starting right from the name of that tune (new to me, needless to say). How interesting that your aide de memoire and the trick of undoing a vow co-exist! Sometimes we remember so that we don’t make vows! I really like the line “traditions linger in a hand” since it points to the ways our bodies hold knowledge. At the curling rink the other day, one of the fellows beside me mentioned that he has had his lock for his locker since he was in high school. We got talking about memorizing the combinations of locks, and he said he has no idea which three numbers open this lock. His fingers have just memorized the movements. He’d have to watch himself open the lock in order to find out the combination! I had a similar experience knitting the other day. I haven’t knit for some time, and when I went to cast on, I found that the more I thought about it, the more confused I got. But when I was distracted and just picked up the wool and needles, it all just came together. Those fingers know some things that we don’t, it seems. That last line, and the change from ‘land’ to ‘hand’ was the last change made in the poem. I’d been struggling to get the syllabic structure right, and once I did, the change to ‘hand’ seemed so perfect and so obvious I couldn’t understand why I hadn’t seen it sooner. Our bodies certainly do hold knowledge; that story about the combination lock is amazing. I’ve heard other knitters talk about your experience, as well. My mother was such a whiz at knitting that it was hard for her to explain what she was doing to others; she just did it. Every time I start working on a new boat, there will be a few bumps and bruises until I learn my way around. On boats I’ve worked on multiple times, I might as well be in my own living room — until the owner decides to make a change, and I have to relearn the layout again. The coneflower is beautiful! But almost like a skeleton. Your crossed fingers reminded me of when our grandchild would have to wait to join in the adult conversations. The flower does look skeletonized, doesn’t it? 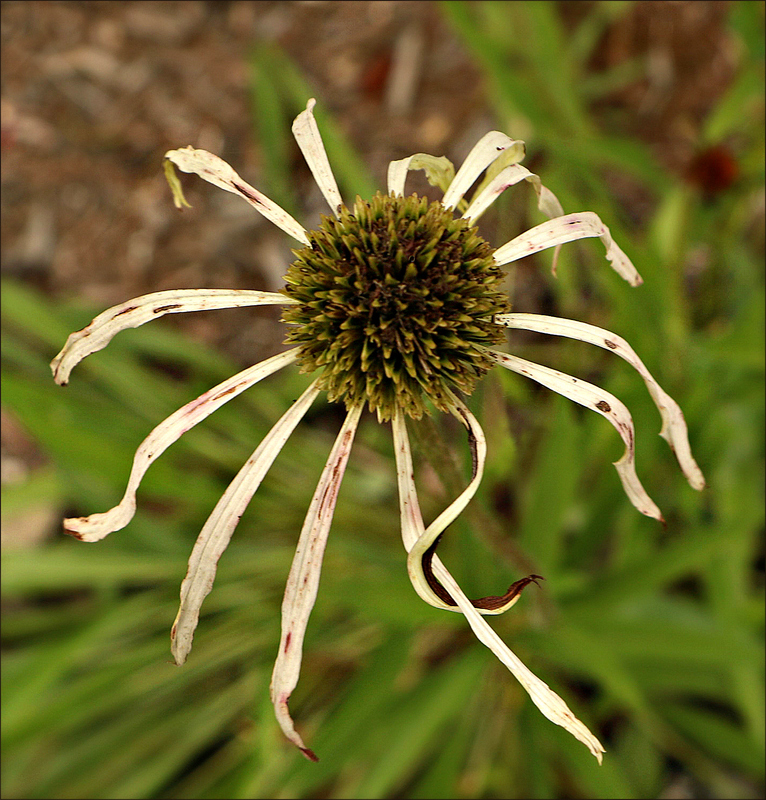 I enjoy watching flowers fade: some seem to crumble; some give in to insects; but some just dry and fade, like this coneflower. I’ve never thought about it, but I suppose that’s why some flowers are considered ‘good for drying’ and some aren’t. Think how many social skills aren’t being developed when people sit at table and stare only at their screens. Beyond that, think what constant use of electronic devices can do to expectations about the very meaning of ‘conversation.’ Now I’m wondering: is it possible to interrupt Alexa or Siri? or vice-versa? I suspect there aren’t any crossed fingers in that world. Delightful poem. Never knew finger-crossing had such nuanced meaning — simply signified what was being said was nullified from having to be factual. Not only that, the gesture itself has changed over the millenia. In the beginning, it apparently involved two people, who would cross their index fingers. Eventually, individuals began crossing their index and middle fingers — presumably when someone else wasn’t around. Then, the final step came, much more recently: words substituted for the action, and people started saying things like, “I’ll cross my fingers for you.” It’s quite interesting to trace the histories of some of our commonplaces. Lovely story and a fine image. When wishing for good luck for others, I’ll offer to cross all extremities- fingers, arms, legs, and maybe a few toes. You’ve reminded me of our grade-school practice of crossing all of our fingers, and then crossing our thumbs for good measure. As I recall, those multiple crossings often were associated with test taking, or hoping we wouldn’t be called on to recite in front of the class. I love to hear your stories of you – and I like your coneflower. As you say, they draw attention to themselves, in my garden, too. But the one in your photograph is more elegant in its fading glory. I have been thinking for a week that I must cut a couple of my plants to the ground, that are completely black. I do wish I’d been able to see this coneflower in full bloom, just to know what color it actually was. As for cutting back, it’s sometimes painful, but often produces great results. My Christmas cactus had grown so large it couldn’t be repotted again; I couldn’t lift the pot as it was. It just was an old, old plant. I pulled it out, tossed the least healthy parts, and repotted three small stems. There might have been a half-dozen leaves on each stem. Now? It’s a lovely, healthy plant with much new growth, and at the end of every branch, a flower is developing. It’s the first time it’s bloomed in two years. Nifty way to build a poem, a syllable more each line. I’ll have to cross my fingers to remember! There has been many a time I’ve wanted to jump into a conversation, but it seems those group chats move on so far, so fast, by the time I get a chance to say anything, the group is many syllables ahead of me. I’d never heard of crossed fingers as a memory aid; what a nifty aid! I’ve come to really enjoy working with the form. As with a haiku, counting syllables is easy. Counting syllables poetically is more of a challenge.